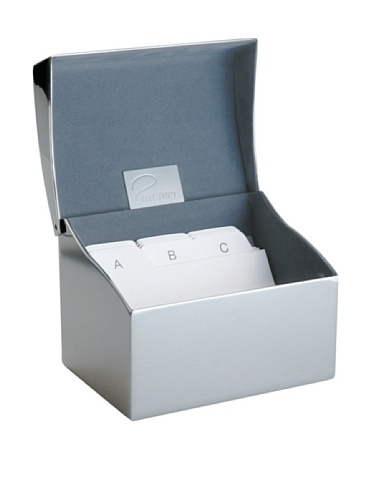 Polished stainless steel was used to create this business card holder box. Size: 3-1/2" x 2-3/4". Design by Philippi.